Tupac Shakur was tragically shot in Las Vegas on September 13, 1996. Six months later, Biggie Smalls was taken down in a drive-by. No one was ever charged for their murders. Decades later, former LAPD investigator Greg Kading is claiming to have solved the case after leading a special task force over 3 years. 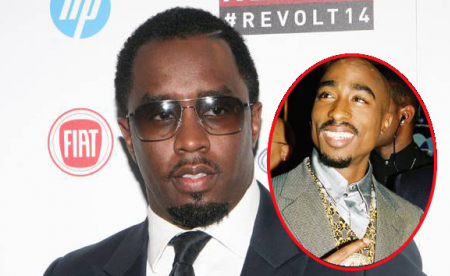 Kading, who received the highest ranking for an investigator that the LAPD gives, claims that Sean Diddy Combs hired Crips gang member Duane Keith “Keffe D” Davis to kill Tupac and his manager Suge Knight for $1 million. On the night of the shooting, Kading claims that Keefe D’s nephew Orlando “Baby Lane” Anderson pulled the trigger, only killing Tupac. Kading further alleges that Knight hired Bloods gang member Wardell “Poochie” Fouse to shoot Biggie for only $13,000 in retaliation for Tupac’s death. So, you may ask why nothing was done about these findings. Kading says the LAPD opted out of pursuing formal charges because of Diddy’s celebrity status and because the two shooters were already deceased. Ever since the former detective left the task force, he has been dedicated to getting the information to the public through a self published book and a documentary entitled Murder Rap coming to Netflix in the spring. What do you think? Share and comment with your friends! Millions Of People Were Disgusted By This Photo – Their Reaction? Unbelievable!